Doctors for the Massachusetts Democrat say tests conducted after Kennedy suffered a seizure this weekend show a tumor in his left parietal lobe. Preliminary results from a biopsy of the brain identified the cause of the seizure as a malignant glioma. Malignant gliomas are a type of brain cancer diagnosed in about 9,000 Americans a year — and the most common type among adults. It's a starting diagnosis: How well patients fare depends on what specific tumor type is determined by further testing. Our thoughts and prayers are with the senator and his family. U.S. newspaper circulation fell 3.6 percent in the last six months. Among top 20 U.S. newspapers, only the two largest national dailies, USA Today and The Wall Street Journal, were able to increase circulation. Gannett Co.'s USA Today remained the top-selling paper in the country with an average daily circulation of, 2,284,219, up 0.3 percent, while The Wall Street Journal rose 0.4 percent to 2,069,463. The New York Times Co.'s flagship paper remained the third-largest with circulation of 1,077,256, down 3.9 percent from the same period a year earlier. That company also owns The Boston Globe and International Herald Tribune. Metropolitan dailies have suffered the worst declines, a trend that continued in the most recent reporting period, with the Dallas Morning News reporting a 10.6 percent drop to 368,313. How much longer can printed newspapers survive? Frontpage has an interview with Thomas Joscelyn, an expert on the international terrorist network. The interview focuses on the light recently realeased documents shed on the connection between Saddam's Iraq and its support for terrorist entities such as al Qaeda, Hamas and Hezbollah. One IIS document, in particular, has received significant attention. The document was apparently authored in early 1997 and summarizes a number of contacts between Iraqi Intelligence and Saudi oppositionist groups, including al Qaeda, during the mid 1990’s. The document says that in early 1995 bin Laden requested Iraqi assistance in two ways. First, bin Laden wanted Iraqi television to carry al Qaeda’s anti-Saudi propaganda. Saddam agreed. Second, bin Laden requested Iraqi assistance in performing “joint operations against the foreign forces in the land of Hijaz.” That is, bin Laden wanted Iraq’s assistance in attacking U.S. forces in Saudi Arabia. We do not know what, exactly, came of bin Laden’s second request. But the document indicates that Saddam’s operatives “were left to develop the relationship and the cooperation between the two sides to see what other doors of cooperation and agreement open up.” Thus, it appears that both sides saw value in working with each other. It is also worth noting that in the months following bin Laden’s request, al Qaeda was tied to a series of bombings in Saudi Arabia. The same document also indicates that Iraq was in contact with Dr. Muhammad al-Massari, the head of the Committee for Defense of Legitimate Rights (CDLR). The CDLR is a known al Qaeda propaganda organ based in London. The document indicates that the IIS was seeking to “establish a nucleus of Saudi opposition in Iraq” and to “use our relationship with [al-Massari] to serve our intelligence goals.” The document also notes that Iraq was attempting to arrange a visit for the al Qaeda ideologue to Baghdad. Again, we can’t be certain what came of these contacts. Just recently, however, al-Massari confirmed that Saddam had joined forces with al Qaeda prior to the war. Al-Massari says that Saddam established contact with the “Arab Afghans” who fled Afghanistan to northern Iraq in 2001 and that he funded their relocation to Iraq under the condition that they would not seek to undermine his regime. Upon their arrival, these al Qaeda terrorists were put in contact with Iraqi army personnel, who armed and funded them. 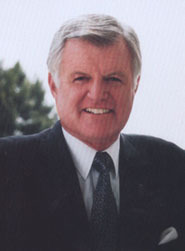 Bob Kerrey, a former Democratic senator who served as a 9/11 commissioner, told Eli Lake of The New York Sun that the document is a “very significant set of facts.” While cautioning that it does not tie Saddam to the September 11 attack, Kerrey said that the document “does tie him into a circle that meant to damage the United States.” That circle includes al Qaeda’s affiliate in the Philippines, Abu Sayyaf, which was funded by bin Laden’s brother-in-law. One document, which has not yet been released to the public, indicates that Iraqi Intelligence also funded Abu Sayyaf. Steve Hayes first reported the existence of this document last month. The document includes a series of IIS memos from 2001 in which Saddam’s henchmen discuss funding the group, but consider withdrawing support after a string of high-profile kidnappings of westerners brought unwanted attention. But whatever concerns Iraqi Intelligence had appear to be short-lived. In 2003, one Abu Sayyaf leader openly admitted to the press that the Iraqis had been funding his group. One should always be cautious when analyzing documents such as these. But those who insist Saddam had nothing to do with terrorism or al Qaeda should read the interview. The often repeated assumption that Saddam’s secularism precluded significant cooperation between Saddam and al Qaeda is in fact only an assumption. The assumption is called into question by Joscelyn's analysis and facts. Former Yugoslav President Slobodan Milosevic, the ''butcher of the Balkans,'' has died. He was found lifeless on his bed in his jail cell. Milosevic was charged with 66 counts of genocide, crimes against humanity and war crimes in complex indictments covering bloody conflicts in Bosnia, Croatia and Kosovo as Yugoslavia imploded in the 1990s. Milosevic suffered a heart condition and high blood pressure which repeatedly interrupted his trial in The Hague that has dragged on for four years. Can It Be Five Years? Five years ago, on Jan. 19, 2001, the day before President Clinton left office, he agreed to a five-year suspension of his Arkansas law license and agreed to pay a $25,000 fine to the Arkansas Bar Association in exchange for an agreement that Whitewater prosecutors wouldn't pursue criminal charges against him after he lied under oath about his relationship with Monica Lewinsky. The former President is again eligible to get an Arkansas law license. Not that he needs it. According to the Associated Press, last year Senator Clinton's financial reports disclosed the Clintons had between $5 million and $25 million in a joint bank account. The five year anniversary also means many of former President Bill Clinton's records become subject to the federal Freedom of Information Act, the law that allows citizens to see public records. Officials at the Clinton Library expect a deluge of requests for access to some of the 80 million pages of presidential papers and 20 million e-mails stored at the library. As New York's subway and bus workers illegally went on strike, stranding millions of commuters, holiday shoppers and tourists at the height of the Christmas rush, State Justice Theodore Jones hit the union with a $1 million-a-day fine. New Yorkers car-pooled, shared taxis, rode bicycles, roller-skated or walked in the freezing cold. Early morning temperatures were in the 20s. Mayor Michael Bloomberg, who had said the strike would cost the city as much as $400 million a day, joined the throngs of people crossing the Brooklyn Bridge by foot. "It's a form of terrorism, if you ask me," said Maria Negron, who walked across the bridge. "I hope they go back to work." With special traffic rules in place, the city survived the morning rush without the monumental gridlock some had feared. Manhattan streets were unusually quiet; some commuters just stayed home. The mayor put into effect a sweeping emergency plan, including the requirement that cars entering Manhattan below 96th Street have at least four occupants. Injunction Prohibiting Illegal Strike Activity By The TWU [pdf]. Injunction Prohibiting Illegal Strike Activity By The ATU [pdf]. The strikers have little if any public support. I've seen and heard nothing but negative comments about the strike.